"He came in here and said a few cuss words -- shocked me a little bit, to tell the truth," Jimmy Butlersaid of Brown's tirade. "But I like it; that is the type of energy I love -- make sure everybody did their job, letting them know we can't have it, it's not winning basketball -- and we came out and did what we were supposed to do." 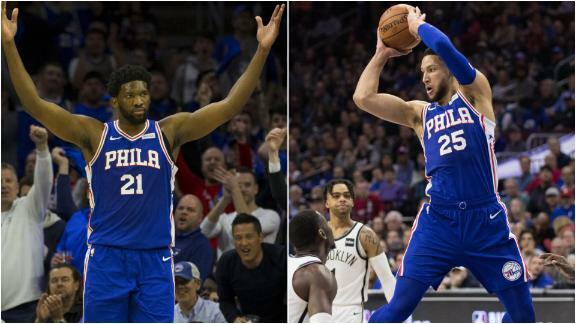 As Embiid apologized during his postgame news conference, he and Ben Simmonsstarted laughing. 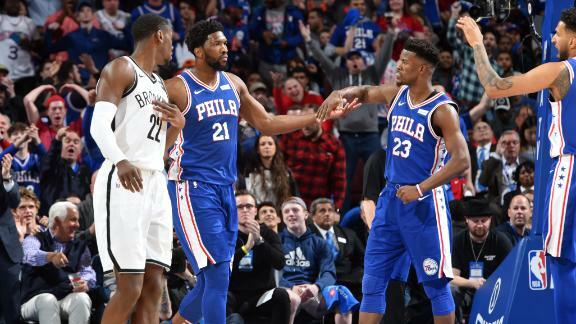 Nets forwardRodions Kurucsshowed some physicality shortly after the Embiid-Allen encounter, getting called for a flagrant 1 of his own for slamming his body into Simmons while positioning for a rebound with 2.1 seconds remaining in the half. 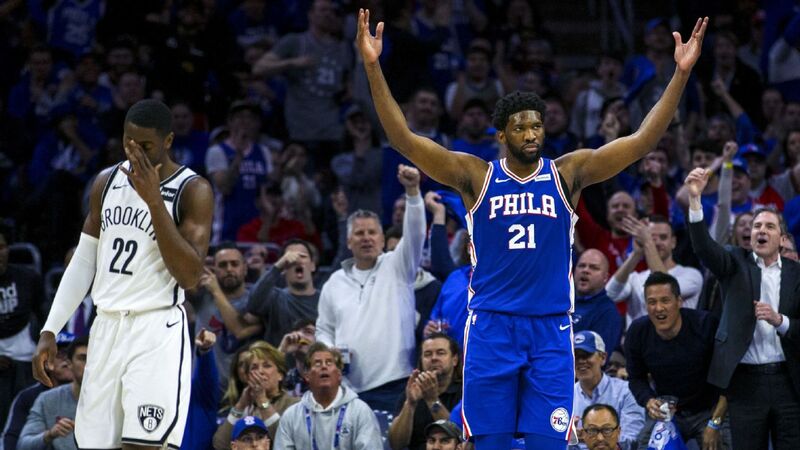 The 76ers' 51 points in the third quarter match the most points in a quarter by any team in NBA playoff history.